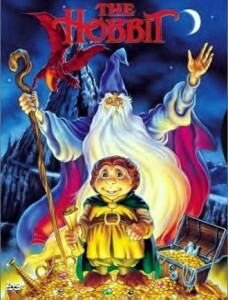 After numerous delays and a game of musical chairs with directors, The Hobbit is scheduled to hit theaters in December 2012 (part 1 that is). While the casting of the title character Bilbo Baggins has been announced, we are slowly hearing exactly what characters from the Lord of the Rings trilogy will be returning to Middle Earth. Yesterday, it was revealed that Cate Blanchett would return as Galadriel. Now today, we have word that Orlando Bloom will return as the elf archer Legolas in more than just a cameo. This has to be good news for his career. While he was in a successful franchise with Pirates of the Caribbean, he was far from the star, and I personally disliked him in the role. In fact, after some quick research I have realized that I haven’t liked Bloom in any role but Legolas. It has long been assumed that Sir Ian McKellan would also return as Gandalf, but this is yet to be written in stone. Also, Andy Serkis and Hugo Weaving have yet to ink their deals to play Gollum and Elrond respectively. I would imagine all three actors would want to jump on board. Especially since Peter Jackson is back in charge. I am very excited about this whole project. I had never read the books when I first saw the films, and the movies just blew me away. For me, Lord of the Rings is the greatest film trilogy of all time. All three films are just spectacular, and really stand on their own as films unlike the Pirates of the Caribbean and Matrix trilogies. I am excited to see what Peter Jackson will bring us next. Who would you like to see return to Middle Earth? What is your favorite film trilogy? Let us know in the comments below.